Born in Stuttgart on June 8, 1963 Ulf Stolterfoht is a poet and essayist who has published extensively in anthologies and literary magazines. As a youth he opted out of military service, performing civilian services as an alternative, studying, afterwards, German and Linguistics in Bochum und Tübingen. The poet has also collaborated with others, most notably with Sabine Scho in Frauen-Liebe und Leben, variations on Adelbert von Chamisso, and published translations of Gertrude Stein and the British poet J. H. Prynne. 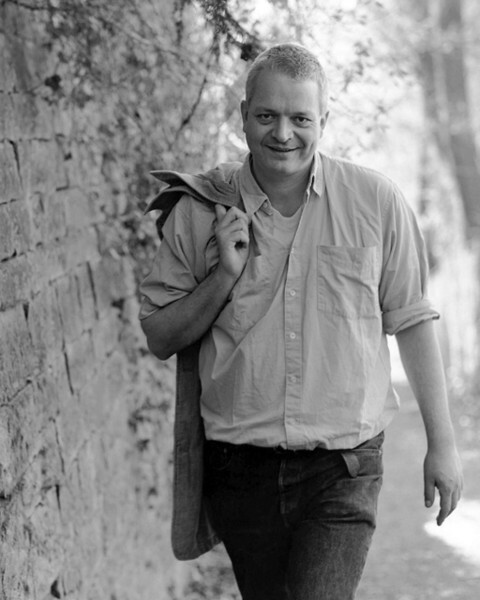 For his writing, Stolterfoht has won numerous literary awards, including the Heimrad-Bäker-Preis (2011), the Erlanger Literary Prize for poetry in translation (with Barbara Köhler) (2009), the Peter-Huchel-Preis (2008), the Alfred-Gruber-Preis at Lyrikpreis Meran (2006), the Anna-Seghers-Preis (2005), the Ernst-Meister-Preis (2003), and has won a grant from Villa Massimo (2006). From 2008-2009 the poet was guest professor in the German Literary Institute in Leipzig. Rosmarie Waldrop has published a selection of Stolterfoht’s “fachspracken” as Lingos I-IX (Burning Deck, 2006). by and by to fill mouth after mouth. I can’t grasp it. it as it were grasps me. untarred. Like flews entirely unlicked. brutish wimp. amid. But actually replaced. certainly artifice but a nose for what will work. in plain speech: state-supported verstromung-prose. jaw: producer-friendly! likely ready to tear you apart. Reprinted from Lingos I-IX, trans. by Rosmarie Waldrop (Providence, Rhode Island, 2006). English language translation copyright ©2006 by Rosmarie Waldrop. Reprinted by permission of Burning Deck.